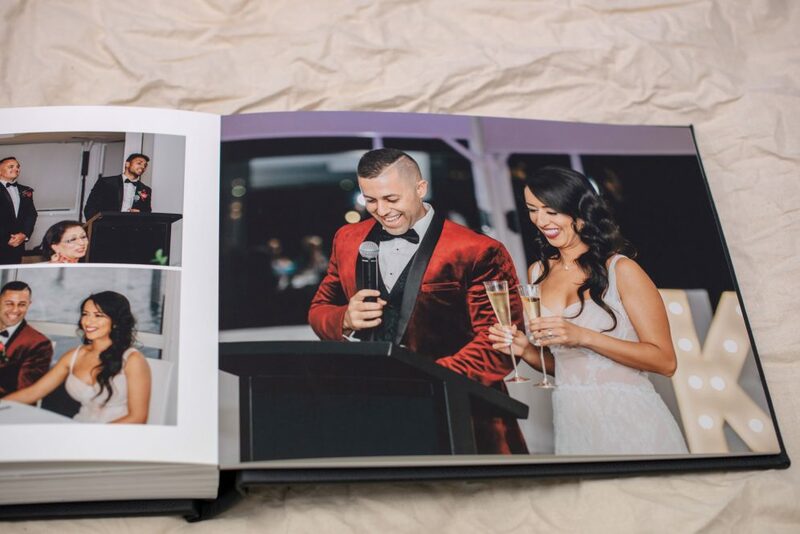 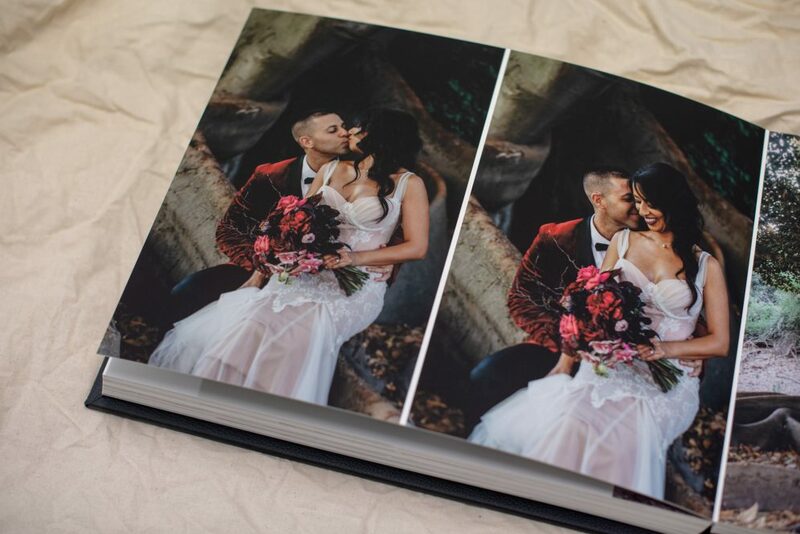 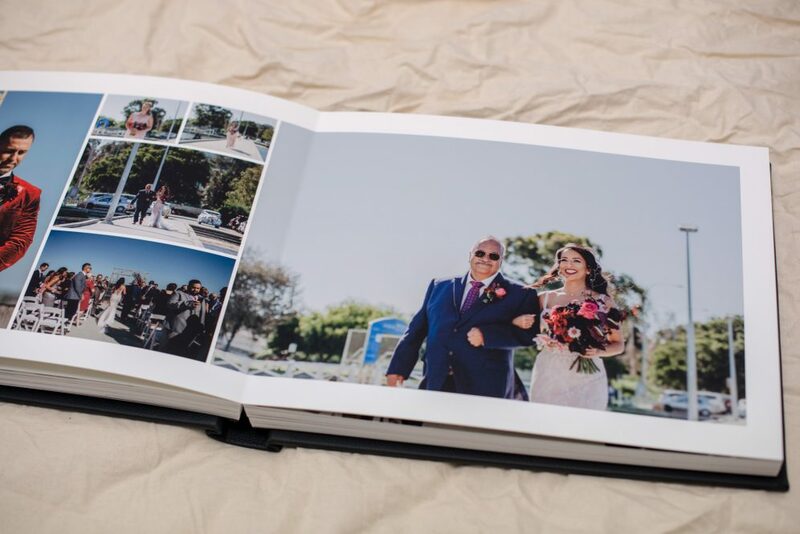 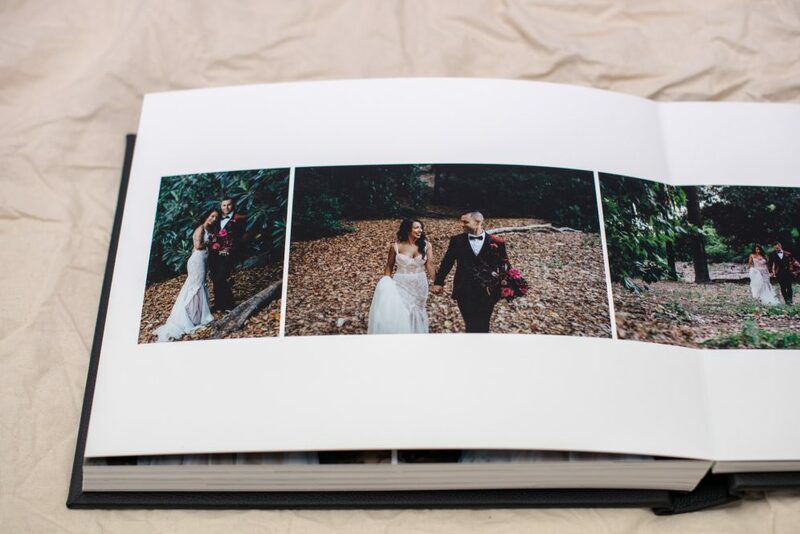 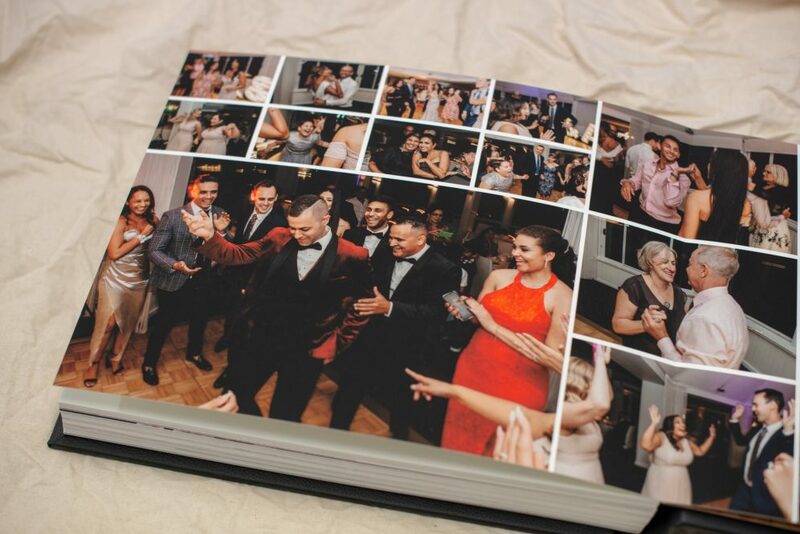 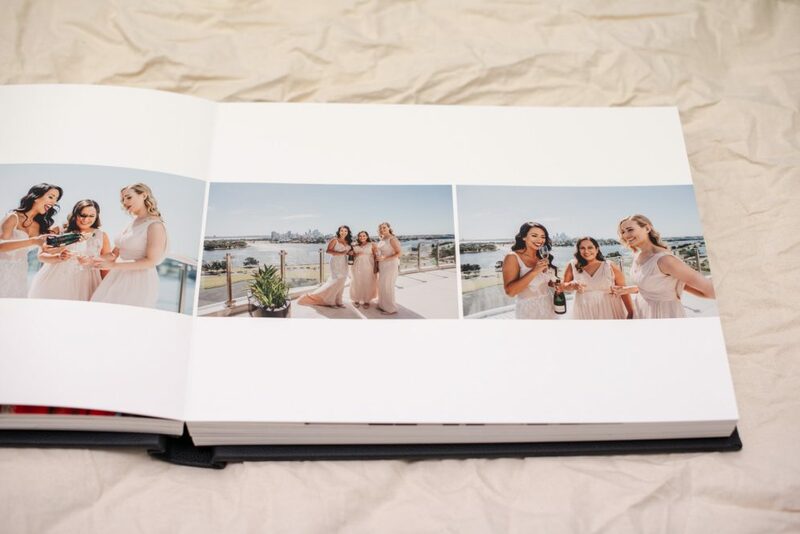 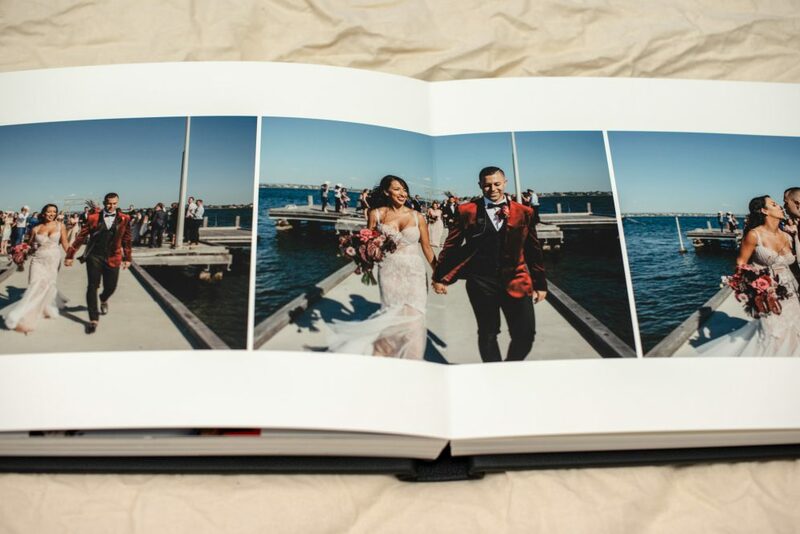 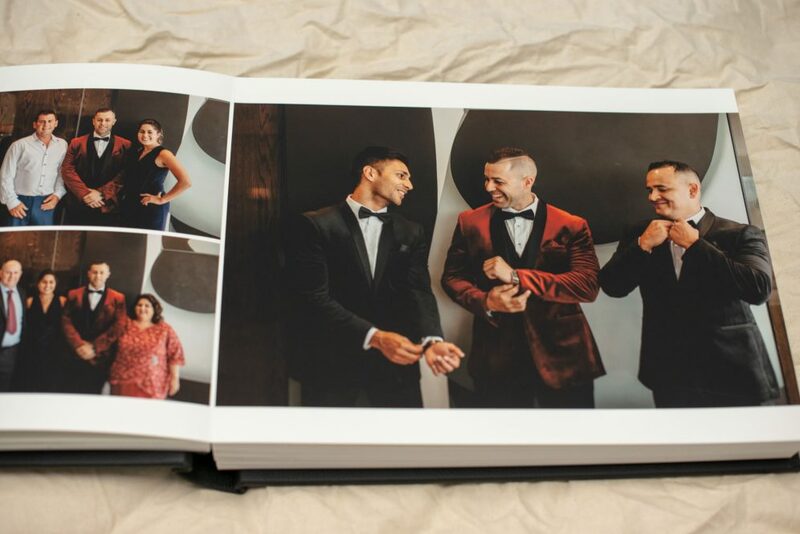 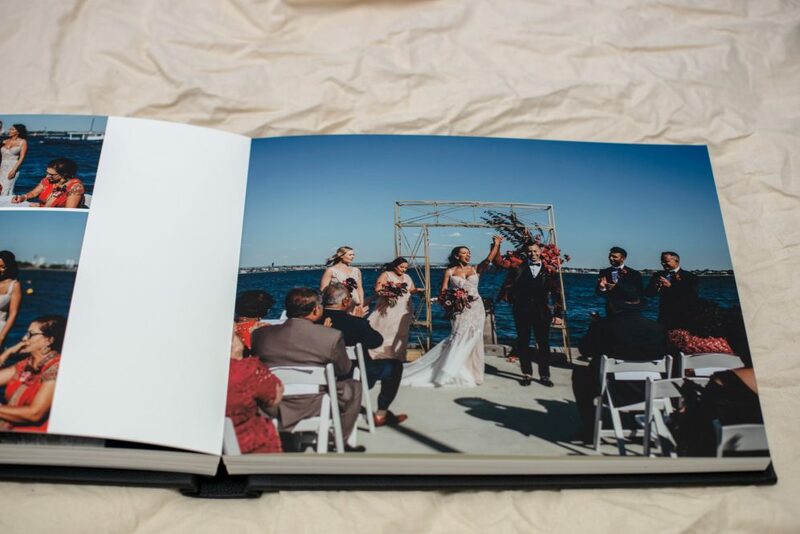 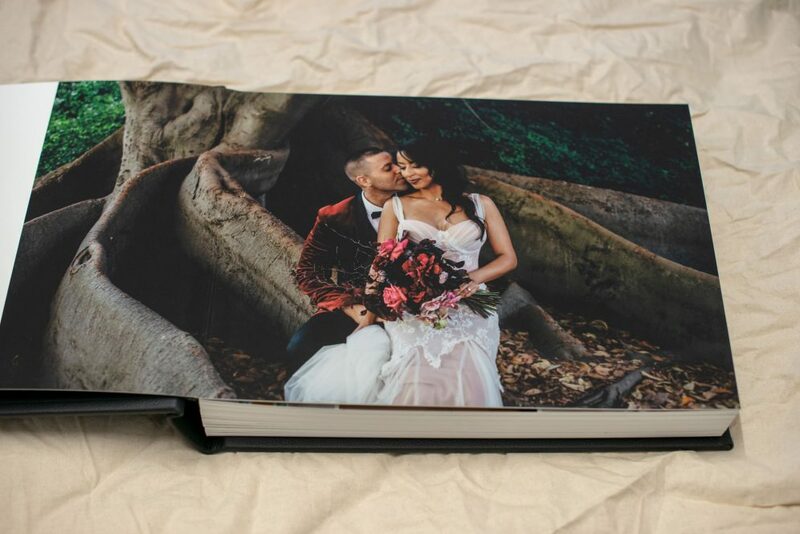 This Perth couple’s stylish wedding has printed beautifully in our 14×11 landscape wedding album. 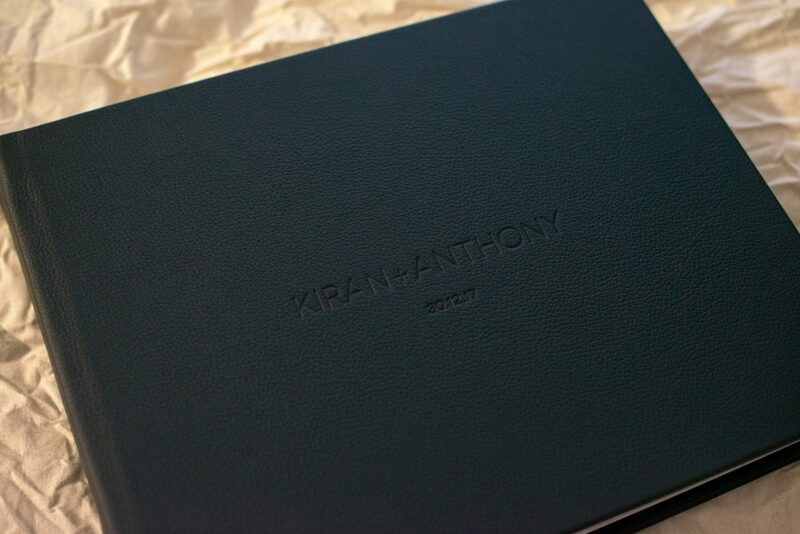 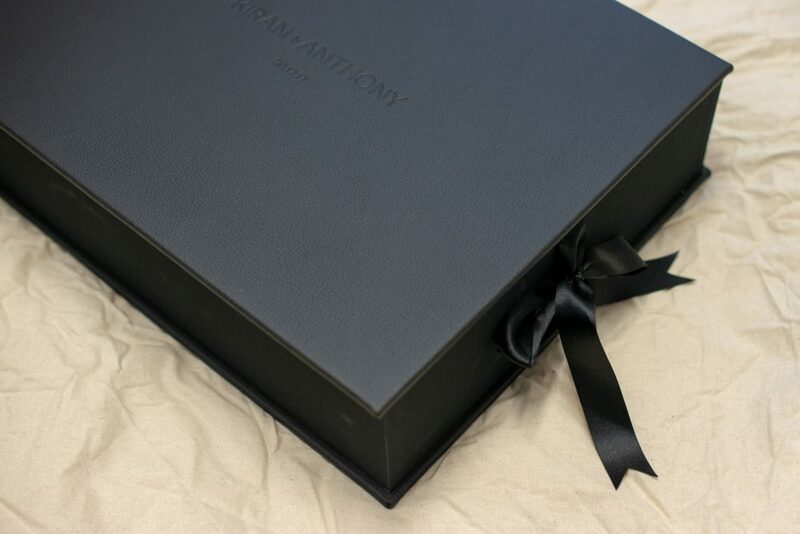 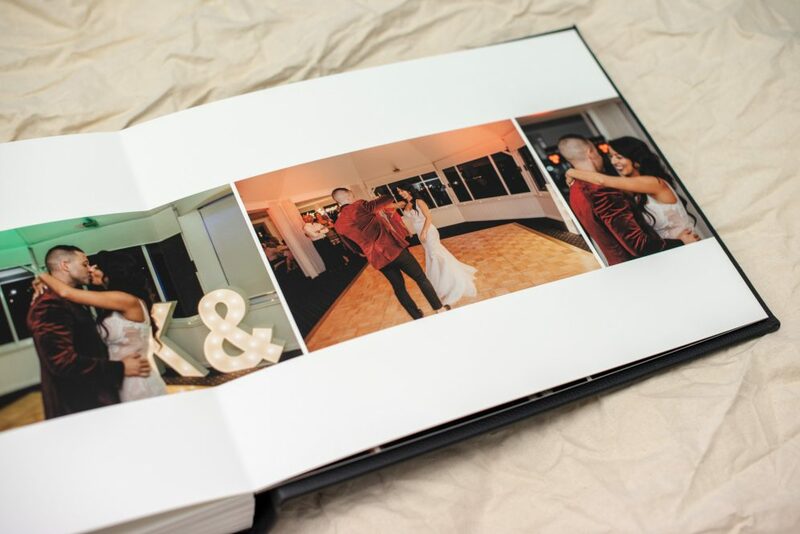 The classic black leather album has the couple’s names and wedding date embossing on the cover. 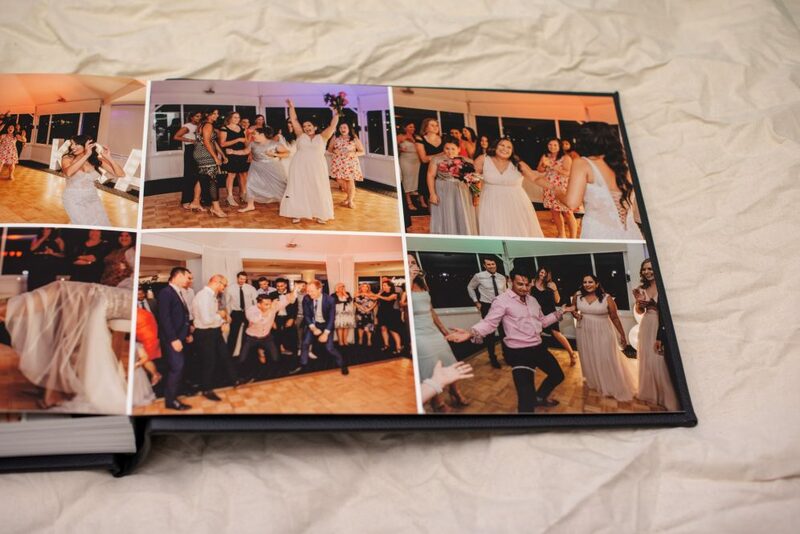 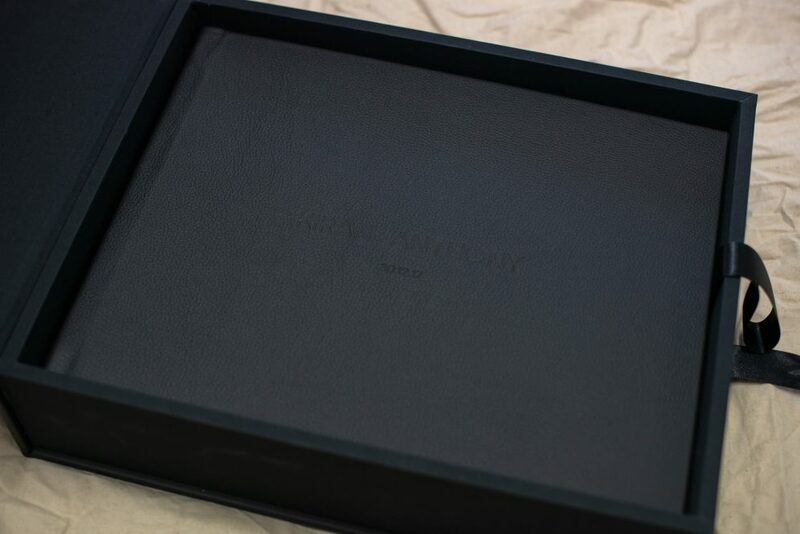 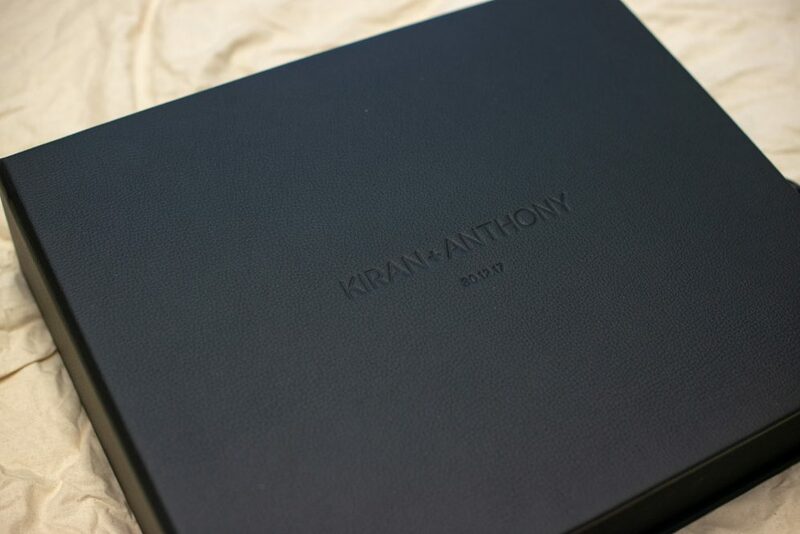 The couple also added a matching presentation box to store their album when not in use. 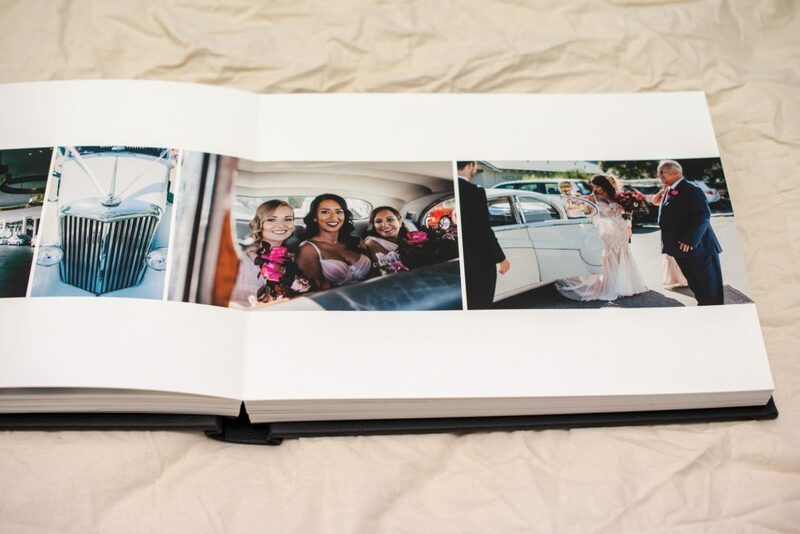 A really great investment for the longevity and storage of your album. 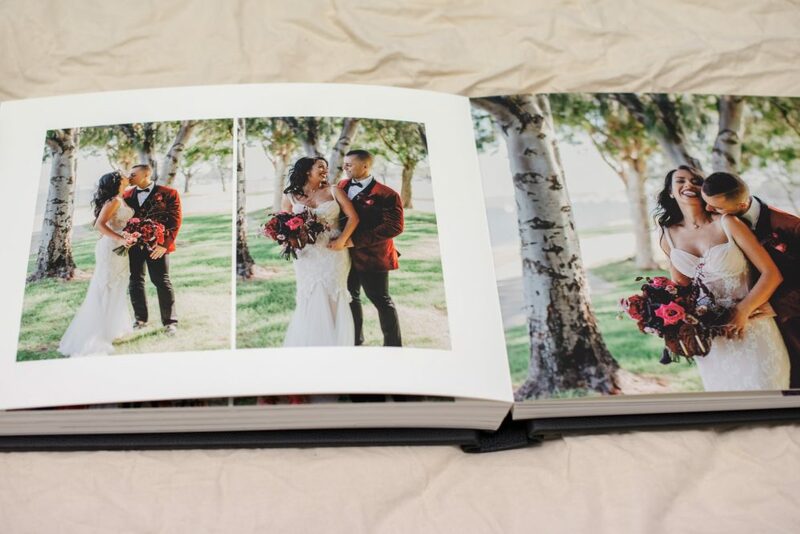 The couple also ordered 2 parent albums as Christmas gifts for their parents. 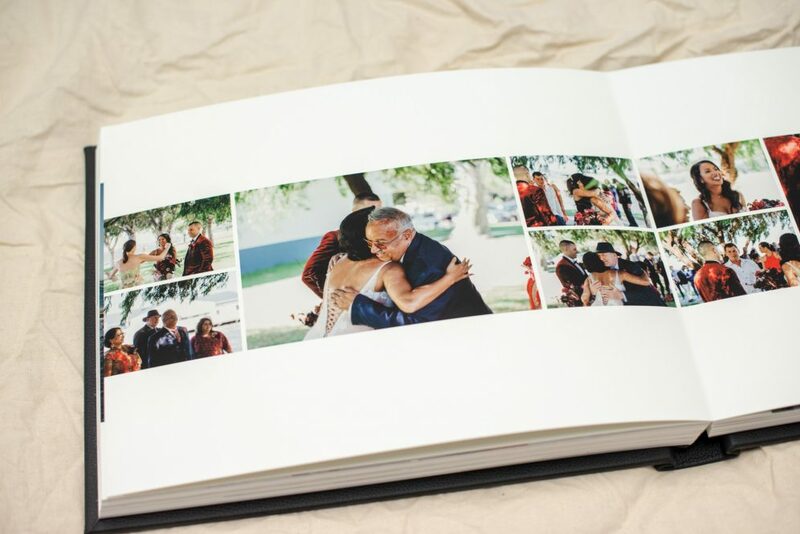 The couple ordered the parent albums to be the same size as their album, a 14×11 horizontal album, however parent albums can be smaller just as long as they are the same orientation – for example if you order a horizontal main album the parent albums need to be horizontal or if you order a square main album the parent albums need to be square. 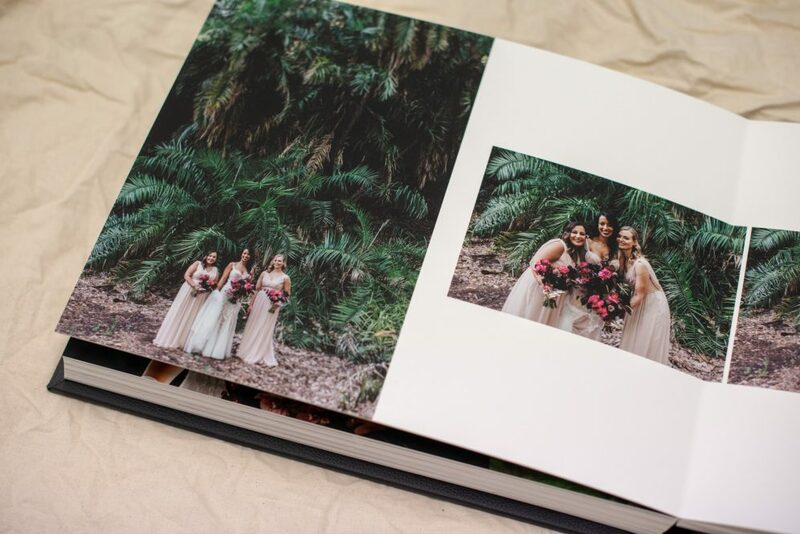 The pages are a lay-flat style and fine art paper with a matte finish, a stunning finish for either colour or black & white photos. 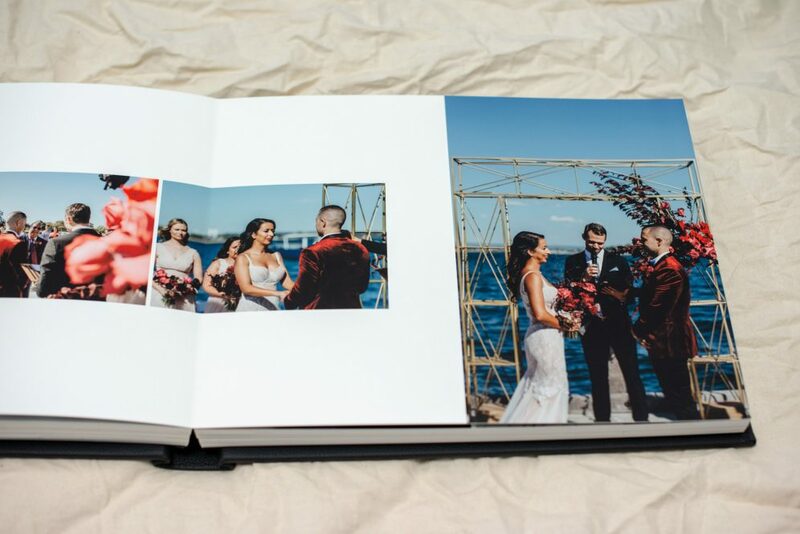 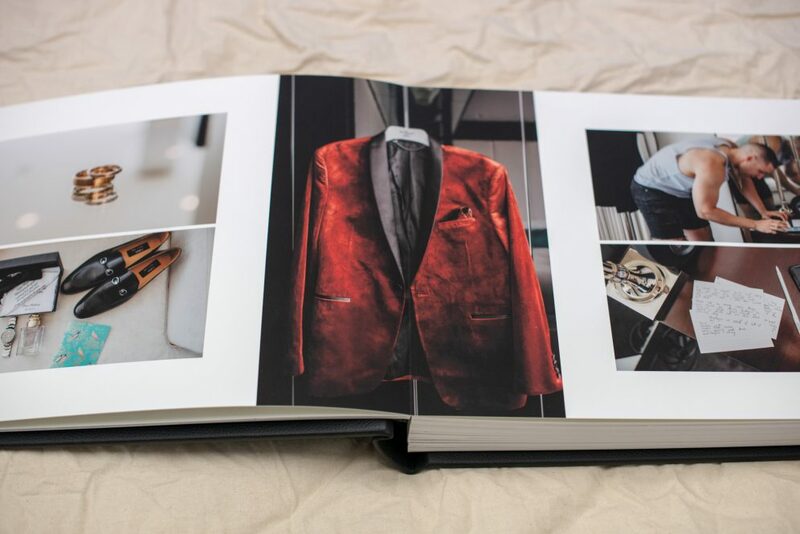 The printing is done using archival inks and quality materials are used to hand-bind the album to last generations. 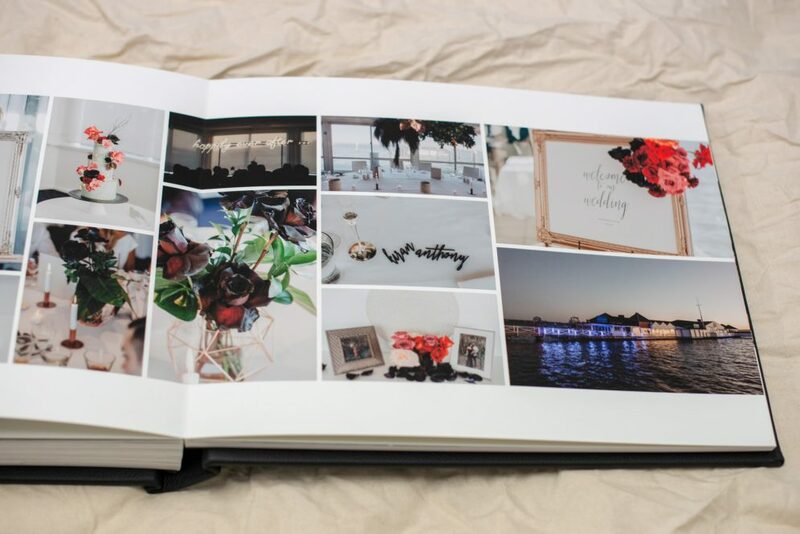 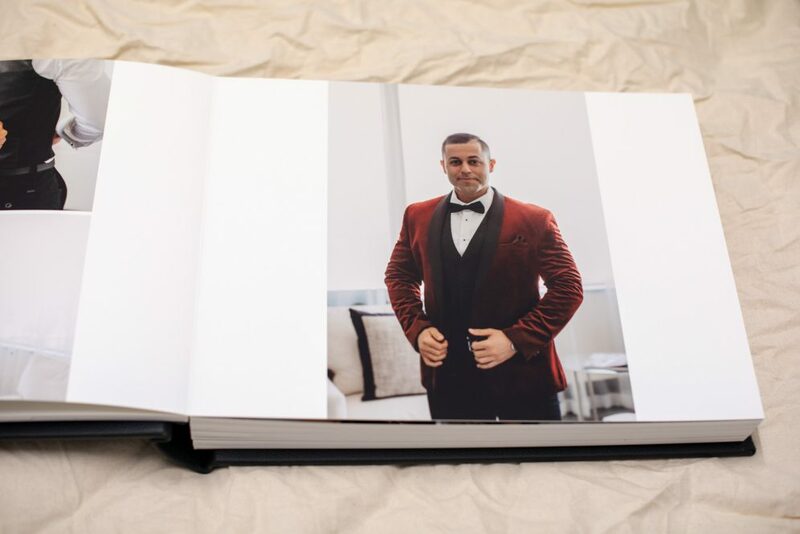 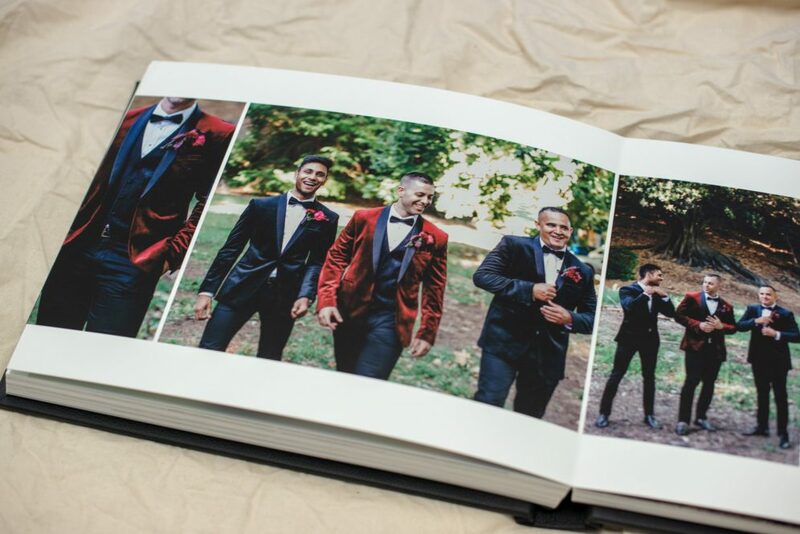 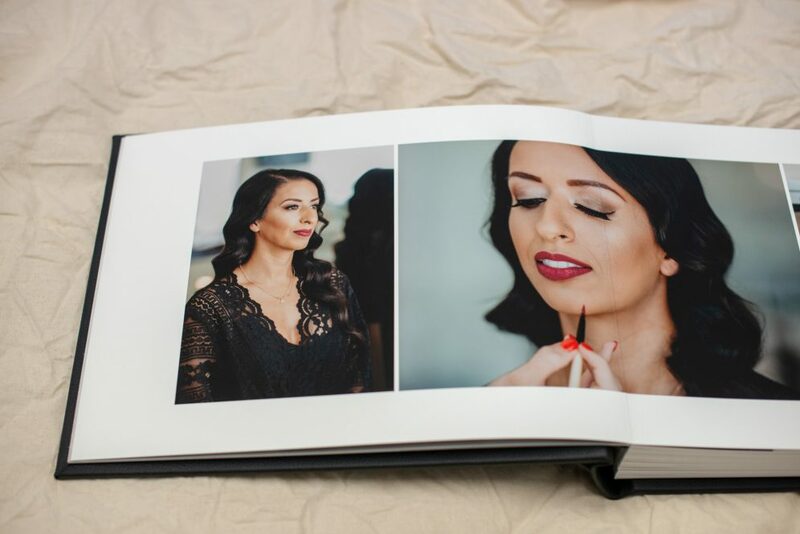 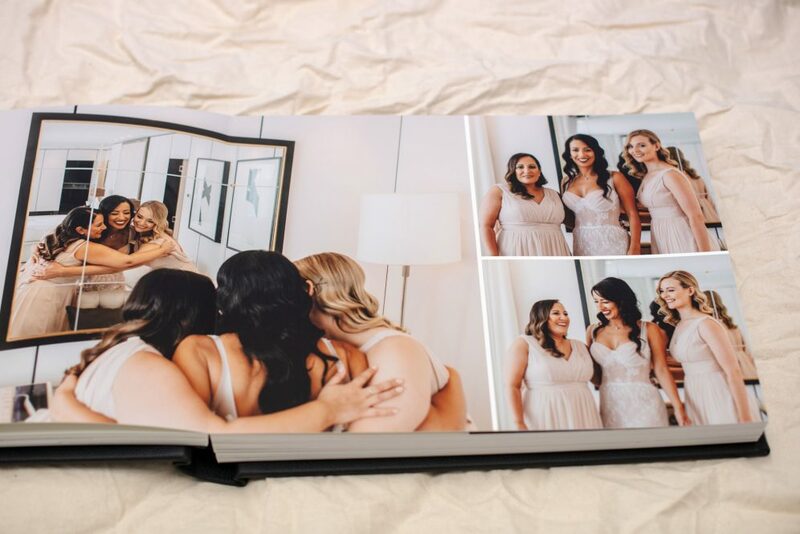 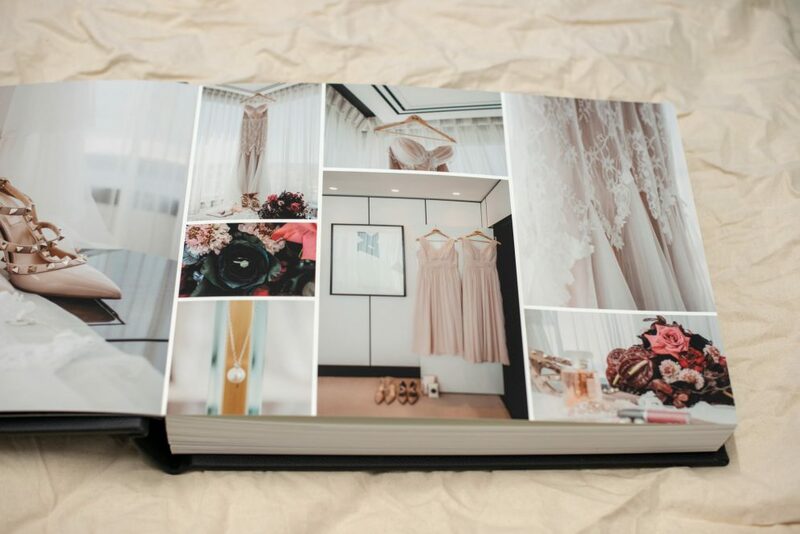 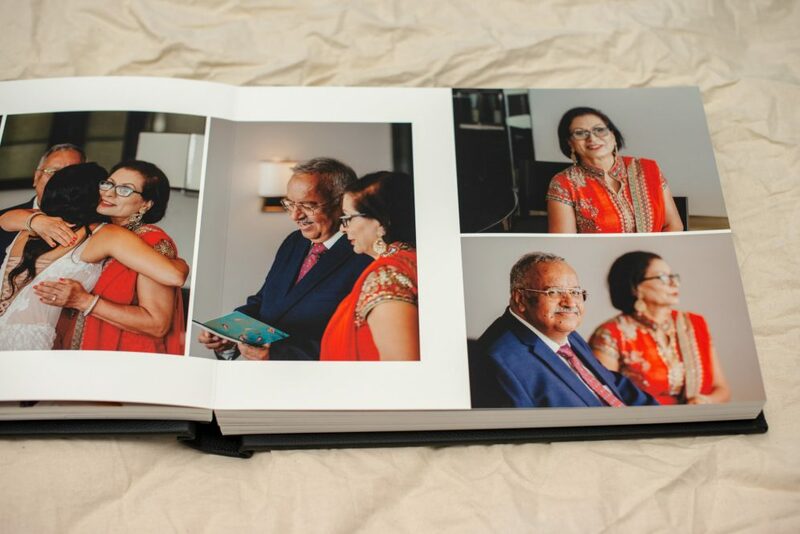 Our contemporary designs let your photographs take pride of place to tell your love story as you turn the pages. 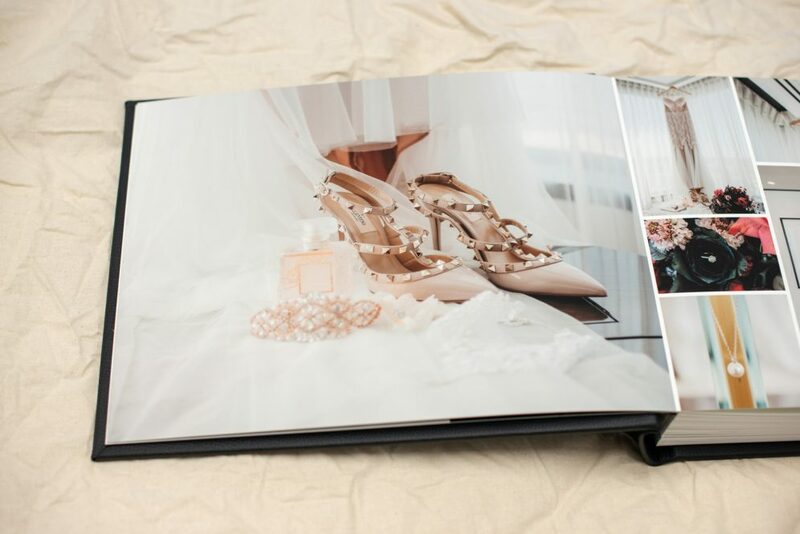 Your investment in professional photography is truly going to make your finished album look more amazing. 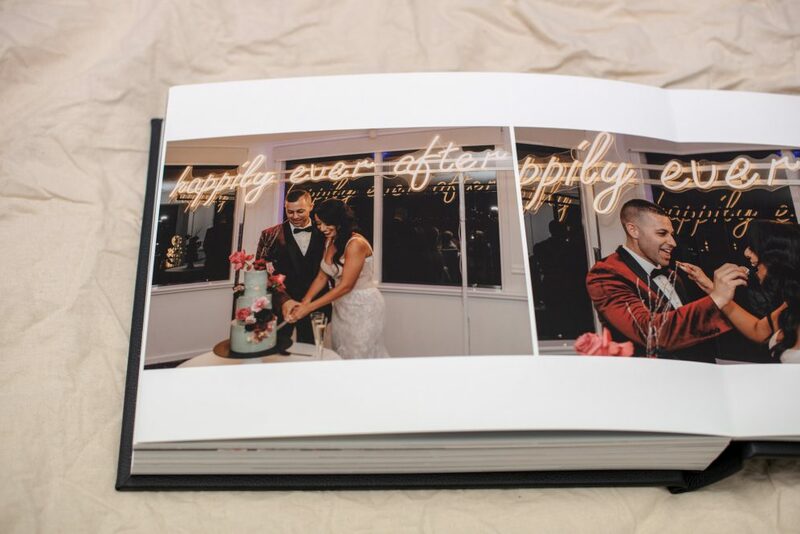 That is why we recommend every couple should invest in a professional wedding photographer, remembering this is one day that you can never repeat, and you don’t want to risk not hiring a professional to capture an important event such as your wedding day and leaving you with less than average memories. 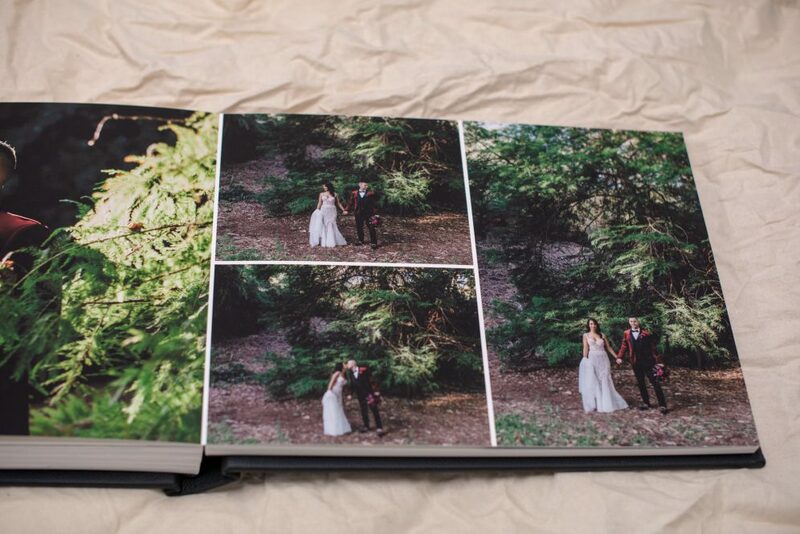 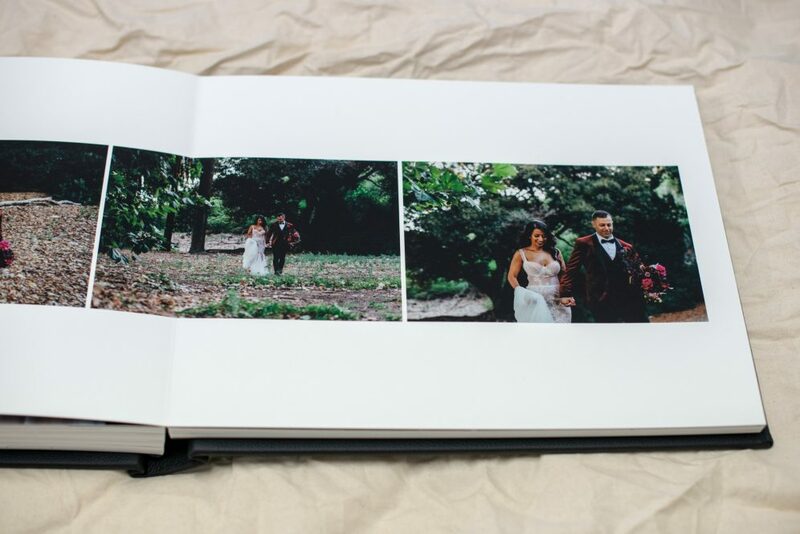 The finished wedding album was 42 spreads (84 pages), just shy of the 45 spread maximum we can fit in an album. 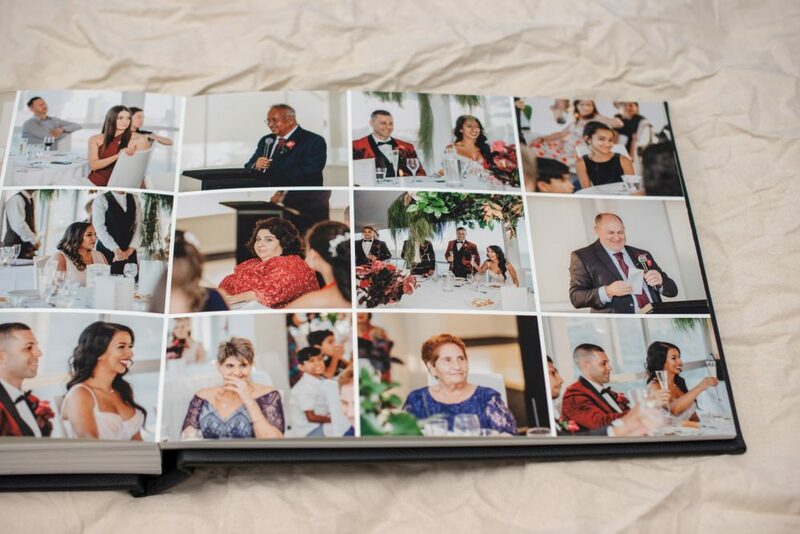 We just had so many beautiful wedding photos to work with. 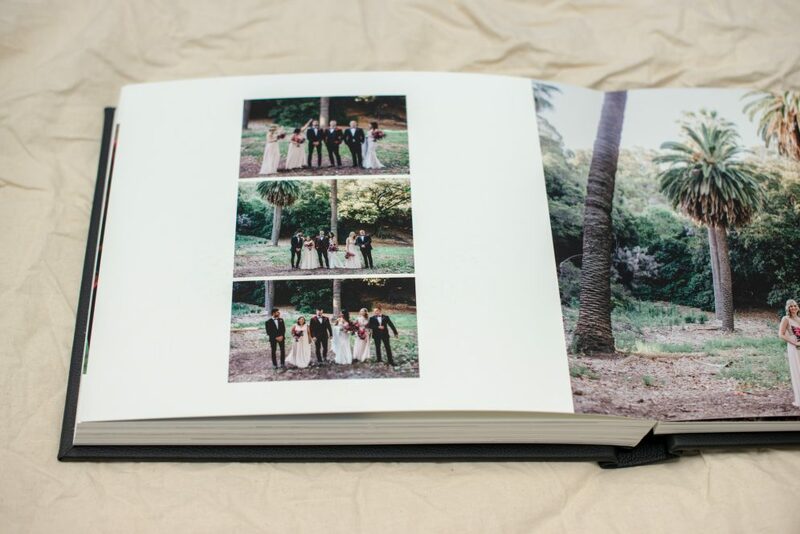 from every part of the day, that it was easy to fill the album. 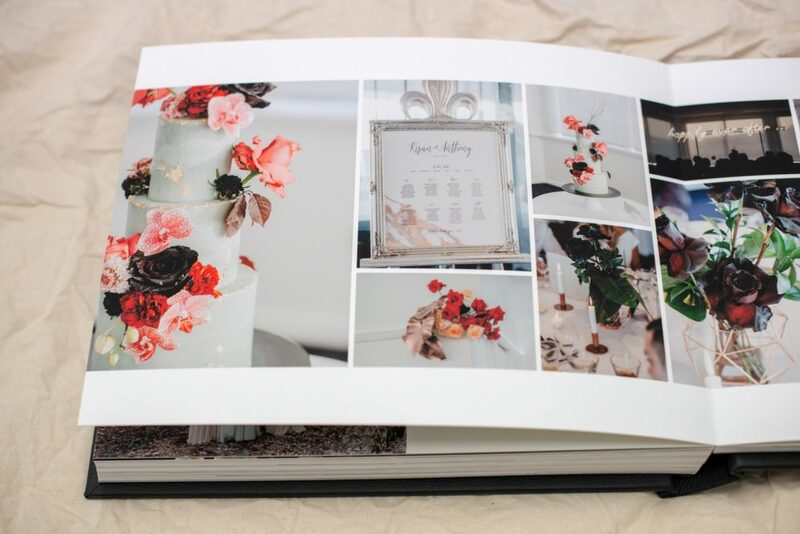 Below is just a taste of some of those page designs.